Anna Idelevich’s practice is devoted to complex civil litigation with an emphasis on nursing home and long-term care, catastrophic injury, mass-tort, transportation, product liability, premises liability, and healthcare litigation. Anna is admitted to practice in Georgia and Missouri, and has represented clients in a number of other jurisdictions, including North Carolina, Florida, Texas, Indiana, and New York. She has tried multiple cases to verdict, obtained defense verdicts, and won dismissals on behalf of corporate clients. 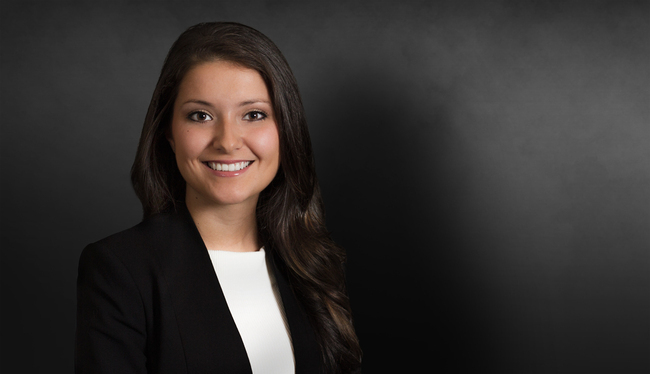 Prior to joining WWHGD, Anna worked for the United State Senate and the Office of Attorney General of Georgia as an extern. While at Emory University School of Law, Anna was a competitor on the Emory Law Mock Trial Team. She has remained involved with various trial advocacy programs, serving as the lead coordinator for the Georgia High School Mock Trial Competition in 2016, and an instructor for the National Institute for Trial Advocacy Depositions Skills program in 2017. Anna is originally from Russia, lived in Israel for 10 years, and speaks Russian and Hebrew fluently. Obtained a defense verdict at trial on behalf of CrossFit, a multinational fitness program, in a suit involving "the deadlift" exercise. Obtained a defense verdict at trial on behalf of a national trucking company in a case arising out of a deadly tractor-trailer accident. Assisted in obtaining a favorable settlement at trial for one of the world’s largest defense technology manufacturers in a case involving product liability claims. Assisted in successfully settling 27 toxic tort product liability lawsuits involving allegations of worker exposure to flavoring chemicals. Assisted in defending and successfully settling a lawsuit involving a fatal airplane crash. Represented various apartment complexes and businesses in premises liability related litigation involving allegations of wrongful death. Obtained a plaintiff’s verdict against a County on behalf of a teen who suffered a traumatic brain injury. Currently defending multiple senior skilled nursing facilities across Georgia against allegations of abuse, neglect, and professional malpractice. Guest speaker, Emory University School of Law Pretrial Litigation Course, at the request of Chief Judge Diane E. Bessen of Fulton County State Court, 2016 and 2017. Defense Verdict: Kerr vs. Agoge Personal Training and Fitness, LLC d/b/a No Shelter CrossFit and CrossFit, Inc.